So, lots of people believes Upperland as a great game development studio, with professionals goind forth and back. Sorry, but the game only can’t be called a garage one, because I live into an apartment, so I have no garage at all, nor a car. But, to satisfy people’s curiosity, I’ll show a few pictures of the environment where I code and develop Rockbot. 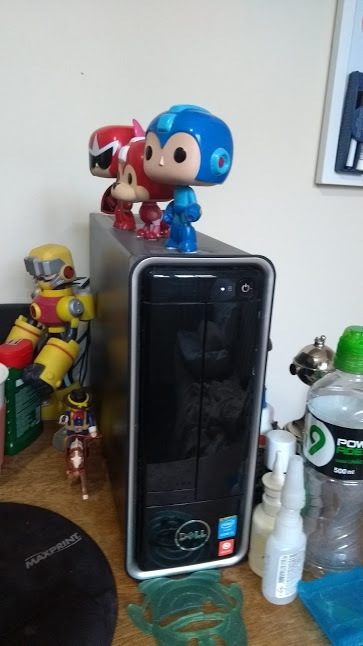 Megaman is always an inspiration, as you can figure by the Funko Pop on the image. This kind of work environment is good for creativity. 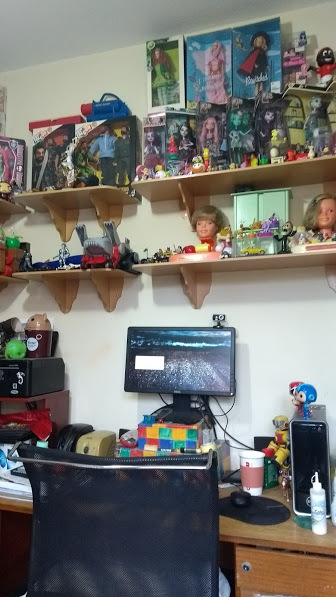 The room is full of toys, those are collections mine and from my wife. My computer, a Dell one running Linux Mint. Print article This entry was posted by iuri on October 19, 2017 at 18:49, and is filed under rockbot. Follow any responses to this post through RSS 2.0. You can leave a response or trackback from your own site.